Hailing from Liège, adopted by Namur, Steve is passionately fond of the Bluegrass 5 string banjo and the finger picking guitar since his early childhood. Being a hard worker and an enthousiastic traveller, his outstanding performances quickly bring him to play on several stages all over the places. In the United States, he finds the completedness of his art by sharing his talent and his musical favorite discoveries with the best transatlantic musicians of today’s Bluegrass stage : Bill Keith, Béla Fleck, Mark Schatz, Wyatt Rice…as to name only a few. Born in Rocourt on the 17 july 1974 , Steve has been brought up in a musical environment and this has influenced him since his early childhood. He was only a few months old, he could not walk yet, however the open chest containing the Martin D-28 guitar from his father occasionnaly became his playpen and his playground. His parents, mainly loving to the american music listen to Clearwater revival ,The Marshal Tucker Band , Rory Gallager , Johnny Winter , Commander Cody , Manfred Man Earth Band , John Mayal . but also Marcel Dadi . Always on the look out for new musics, they extatically discover the banjo and the bluegrass played by the Newgrass Revival or through the avant-gardist attempts of Tony Trischka . Then, Steve listens to his father playing the electric guitar but unfortunately he can not touch it yet..
Quite early, his parents, anxious to develop the taste of music for Steve and his young brother Jefferson, make them listen to children songs carefully selected from Jacky Gallou , these happy melodies included the banjo, the mandoline and the accordion, these sounds did fascinate the two boys to the extend that they knew the whole repertoire by heart. 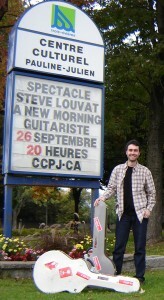 Steve remembers very well the first time he could hold a guitar, he was around 9 years old. He already felt very attracted by the instrument and this moment was so magical that nothing else would exist anymore. This is what happened when his hungarian grand-mother lent him a real classical guitar for one day saying: « In the future, you will be a great musician and you will be in concerts all over the world. » ! Steve is very touched and these words are the trigger of a long and marvellous adventure ! One year later, he goes with his family to a concert given by the prestigious banjoïst Tony Trischka , this memory left him with a very strong feeling. He did not know that ten years later he would take part of a workshop with him ! At the age of thirteen, he seriously asked his parents to learn to play the guitar. His mother reminds him the tones and the originality of the banjo which he chooses straightaway. 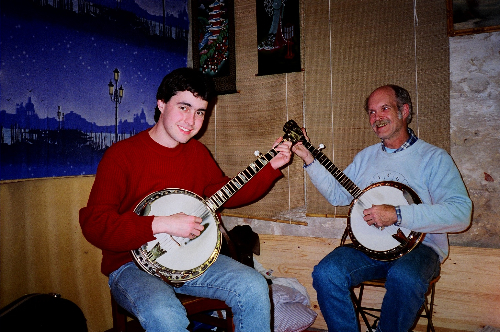 He will receive a banjo for Christmas and as soon as February 1988, Steve starts his first lessons with a Professor in Liège : Guy Donis. Captivated and amazed by the sounds, Steve instantly feels that the magic has happened in his life ! His crave for learning is so high that he started working from home on the same day ; his personal musical journey had started. 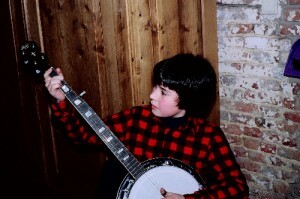 During this same year, his father bought a folk guitar to play with Steve. One year later, Jefferson , drowned in this musical atmosphere, starts to play the mandoline at 11 years old. The father and his two sons are an enthousiastic trio, very quickly, the mother joins them to play the fiddle. The first group is born : The Louvat Family ! Between 1988 and 91, Steve follows several trainings on the banjo and also on the picking guitar (as soon as the year 89) under the guidance of Guy Donis ,Philippe Corthouts , and of course the amazing Jacques Stotzem . At 16 years old, Steve meets his idol Bill Keith during a Master Class in Brussels . The well-known style and the sound of this famous american banjoïst dazzles him. It is like a revelation and an amazing turning point in his starting career. As from the year 1990, Steve plays in several concerts with The Louvat Family and at that time, some of the musical trainings are followed by all members of the family. 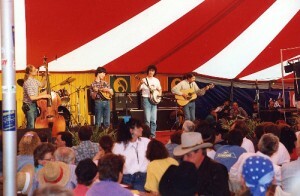 For the Cerex 1991 festival, he creates with his brother the Steve & Jefferson Band, they are accompanied by André Vandomber on guitar and the vocal and Wally Lauwers on double bass. From there, there will be many concerts in Belgium. During this period, he works simultaniously on the guitar and on the banjo ; from 1991 to 92, finishing then his secondary school, Steve vanishes at each lunch time to work on the Marcel Dadi pieces of music . In 1993, after his secondary school, he took a break during a year and used this time to dedicate himself to his passion which is playing the banjo eight hours a day, this will enable him to record his first demos with the group of the moment Bluegrass Junction ( Steve , Jefferson , their father and Raph van Wymsberghe playing the bass and singing) and the duo with his brother Jefferson . 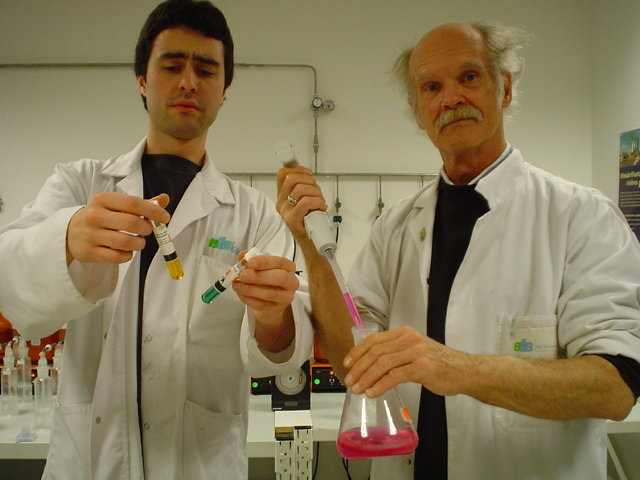 Back home, and knowing that a career choice has to be made, he decided to study a Master in Biochemistry in Liège. Three years of study during which he plays with the Wesport Drive , group composed with Steve , Jefferson , Yves Aerts (guitar and vocal) and Jef Van Peer (bass and singing). There will also be several concerts. During the summer of the year 1996, his diploma in the pocket, Steve goes back to his prestigious mentor Bill Keith for a new transatlantic journey. Handling both, his professional career and his passion for the music, he plays with his brother at the International Bluegrass Festival in Oklahoma and in 1997 and year 99, they travel and play in Nashville , Memphis , Texas . the american audience is overwhelmed! In year 1998, he records a cd clip in duo: Steve & Jefferson Louvat. In 2000, he plays in several concerts and festivals, ‘ Jamboree’ in Czechia , ‘ Sur la route de Tullin’ in Grenoble , concert at the ‘Palais des Beaux-Arts’ inBrussels and plays at the IBMA (International Bluegrass Music Association) inLouisville with Jefferson and the fantastic Marc Schatz on bass. They will also animate the ‘ Jeunesses Musicales 2000-2001′ season accompanied by the bass player Jacques Pirard . An inextinguisible musical thrive drives him beyond limits and make him accept more and more challenges. 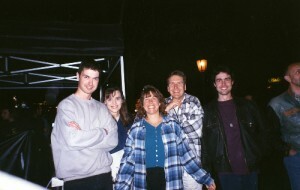 The encounter with the canadian singer Tammy Fassaert is a revelation and a new mutual project will be born : Le European Tour 2001 with The Tammy Fassaert Band composed by Tammy , Steve ,Jefferson and the suisse Markus Fritzsche (double bass and singing). They play in Germany , in Holland , in Luxembourg , in Belgium, in Zwitzerland and inBarcelona . He ends the year at a concert with Jefferson and the bassist and friend Jeff Van Peer at theAEGC in Paris . 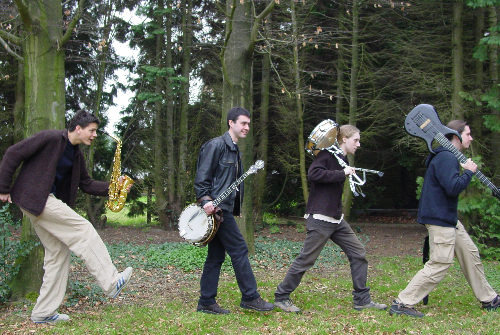 During the summer of the year 2002, Steve created the band « Mélotrolls » around the banjo including Michel Vrydag playing the bass, Bruno Grollet playing the alto saxophone, François Dethy playing the drums and Steve playing the banjo, a group from which emanates innovative and jazzy sounds. We can very quickly hear them playing in several concerts and festivals: ‘La maison des musiques’ inBrussels , ‘ Festival de Dhuy’ . In the same time, Steve also gives solo concerts, ‘ La maison de la culture’ in Namur , ‘ Namur en mai’ … In deed, he just recorded a cd on which he is playing the guitar with some re-entries from Dadi and the banjo solo . The years 2003 and 2004 are quite busy : the recording of a cd clip and more and more concerts with the Mélotrolls : ‘ Palais des beaux arts’ , ‘Musée Charlier de BRX’ , ‘Ferme rose’ , ‘ Namur en mai’ , ‘ Estiv’art’ , the EWOB in Holland, ‘Le temps des pommes’ . this list is not exhaustive. Concurrently, Steve pursue the ability to be alone on the stage where his human and musical performances radiate and win out the audience. He plays in solo in several concerts such as the renowned ‘ Gaume Jazz Festival’ or at the ‘ Musée des Instruments de Musique’ in Brussels where was organized an exhibition dedicated to the banjo. A journey in Ireland at the ‘ Longford festival’ will reinforce his taste for the celtic music. He will animate the ‘Jeunesses musicales 2003 – 2004’ season with the Mélotrolls . He went back in the United States in 2004 for the ‘ Grey fox Festival’ with Bill Keith where he received his new Larrivée guitar as an endorsement. This new success encourages him to work intensively at the creation of his personal compositions and in Novembre, he records a new cd demo including them. In 2005, the Mélotrolls record for » Le monde est un village » from Didier Mélon under the care of the RTBF , and for the Compilation 2005 Young Folkat the Smiske. 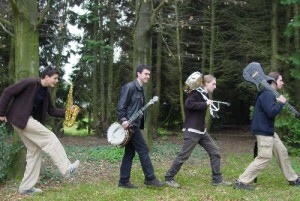 The group also plays in several festivals and concerts : ‘ Nam’in Jazz’ , ‘ Concert des Nuits Nomades’ for the RTBF in the Théâtre 140 in Brussels, the ‘Brosella Festival’ in Brussels, the ‘ Picnic Festival’ in Namur, the ‘Concert en aide pour la Louisianne’ in Namur . and in September 2005, obtain the ‘ Arts & Vie’ status. This same year, Steve performs in solo, he has the opportunity to play in prestige clubs: Rotary, Leo’s, Kiwanis and Lions . In September 2005, he was awarded the 1st price of the Sabam and the 2nd price Jazz given by Guy Cabay during the competition in ‘ La maison du Jazz’ in Mons, his banjo and picking guitar demonstrations were highly appreciated by the jury. 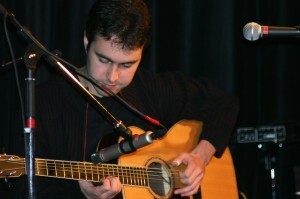 He also played at the concert ‘ Des guitares de l’espoir’ , for the ‘ Kaléidoscope de la guitare’ , and at the ‘Château de St Victor sur Loire’ in Lyon . In March 2006, he encouraged the Ingrid Betancourt case in giving a picking guitar concert in solo in Montbrisson . He played with François Sciortino at the ‘ Picnic Festival’ in Namur where endorsement possibilities became available with the prestigious Nechville american banjo trademark. In December 2006, after a last concert at the ‘ Casino de Namur’ , Steve entirely devoted himself to the recording of his new solo guitar album » A New Morning » which will be available in Septembre 2007. This website will be created and online in 2007, also a solo album and several concerts out of which one at the Botanique in Brussels to prepare the booking of the year 2008. Big turn in « his careers » in october 2010 – after working for 14 years in laboratories, Steve decides to become a professional musician. To know the following of the Steve’s story, the easier way is to check his agenda section which is a summary about the great steps he is living or to watch the gallery section ! So maybe one day … while waiting, some helps would be very welcome ! © 2014 Steve Louvat Graphic Design : © 2014 Steve Louvat.